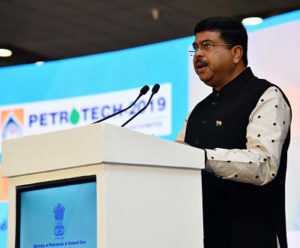 •The 13th International Oil and Gas Conference – PETROTECH – 2019 got underway at India Expo Mart, Greater Noida. Over 95 Energy Ministers from partner countries are expected to participate in the three day Conference. •The theme of the conference is ‘Collaborating For Sustainable and Secure Energy Access for all’. India is the third largest consumer of crude oil and petroleum products and the government has taken several measures to provide energy for all. •Prime Minister Narendra Modi dedicated to the nation the 1.33 million metric ton capacity Visakhapatnam Strategic Petroleum Reserve facility at Guntur in Andhra Pradesh. •He also inaugurated Oil and Natural Gas Corporation Limited’s Vashishta and S1 development project located in the Krishna-Godavari Offshore Basin. 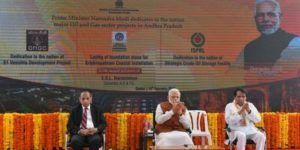 Mr Modi also laid the foundation stone for setting up of a new terminal of Bharat Petroleum Corporation Limited (BPCL) at Krishnapatnam. 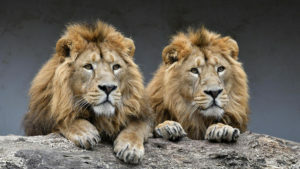 •The Ministry of Environment launched a three-year Asiatic Lion Conservation Project in collaboration with the state of Gujarat. The Ministry of Environment, Forests and Climate Change (MoEFCC) allocated Rs 59 crores, which will focus on better management of the lion habitat, disease control and veterinary care for them. •Gujarat government also implemented Rs 80 crore that will be spent on specialised veterinary hospitals and full-fledged ambulances for lions. •The 5-day multinational maritime exercise ‘AMAN-19’ in which 46 nations participated from all over the world was formally commenced at Pakistan Navy Dockyard, with a colorful flag hoisting ceremony. •Principal aim to conduct this exercise is to facilitate a forum of understanding of each other’s maritime concepts and operation cultures and to produce ways and means to confront common threat at sea. •Abu Dhabi has decided to include Hindi as the third official language used in its courts, alongside Arabic and English, as part of a move designed to improve access to justice. •The Abu Dhabi Judicial Department (ADJD) announced that it has extended the adoption of interactive forms of statement of claims filed before courts by including Hindi. 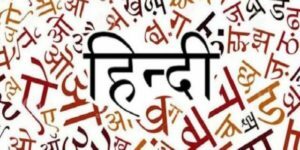 The move will help the Hindi speakers to learn about litigation procedures, their rights and duties without a language barrier. 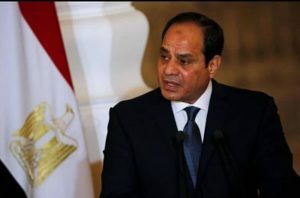 •Egypt’s President Abdel-Fattah el-Sissi has been elected as the chairman of the African Union at the continental body’s summit in Ethiopia. El-Sisi’s election brings an end the one-year chairmanship of Rwanda’s President Paul Kagame. •Reserve Bank of India decided to treat deposits to over Rs.2 crore as ‘bulk’ as they doubled the limit for the same from the earlier Rs.1crore. This move will enhance the operational freedom of Banks. According to current RBI rules, last reviewed in January 2013, banks have the option of not permitting premature withdrawals of ‘large rupee term deposits’ of INR 1 crore and above. 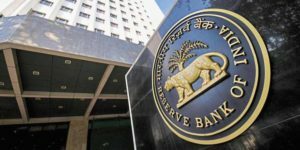 •RBI also proposed banks would maintain their bulk deposits interest rate cards in the core banking system for supervisory review. National Federation of Urban Cooperative Banks and Credit Societies Limited (NAFCUB) has suggested this proposal. 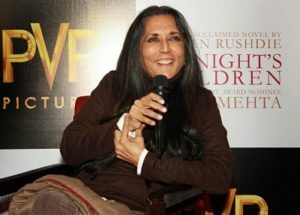 •Acclaimed Indo-Canadian filmmaker Deepa Mehta will be given the Lifetime Achievement Award by the Academy of Canadian Cinema and Television. Mehta is best known for her Elements Trilogy – ‘Fire’, ‘Earth’ and ‘Water’. •The Canadian Screen Awards are awards given annually by the Academy of Canadian Cinema and Television recognising excellence in Canadian film, English-language television, and digital media productions. 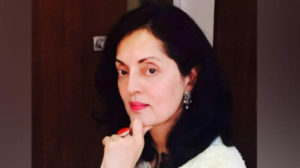 •Ruchira Kamboj was appointed as the Ambassador of India to Bhutan. She is serving as the High Commissioner of India to South Africa since 2017. •A 1987-cadre Indian Foreign Service (officer), she is expected to take up the assignment shortly. Kamboj has previously served as the Ambassador/PR to Permanent Delegation of India to UNESCO, Paris.